On the eve of the Eastern Partnership Summit, the calm and tiny city of Vilnius is overwhelmed by a thrill of swiftness and traffic. The officials, scholars, activists and NGO representatives of the EU partner countries converge on the city, while the events held in conjunction with the summit open in the city center. Among these events is the Civil Society Conference of the Eastern Partnership, a forum which aims to enhance the dialogue between many protagonists of the European Neighborhood Policy and the Civil Society organisations active in the partner countries. Among these characters are the champions of the Eastern Partnship, the two who launched the initiative four years ago: the foreign ministers of Poland and Sweden Radosław Sikorski and Carl Bildt. They came this year to sum up what has already been achieved in the last two years since the Warsaw Summit. Štefan Füle, the European Commissioner for Enlargement and Neighbourhood policy added that the 2011 Summit brought to the table some results which illustrated how difficult and devious was the road to European integration of the East. The Ukrainian rejection, received just a few days before the eve of the summit, is tangible proof that shows a situation which, if not regressing, surely has not evolved. Sikorski praised the civil society activism during the Orange Revolution nine years ago, saying that it represented significant capital gained by the Ukrainians and wasted by the authorities. Sikorski, whose patience is visibly wearing thin, said a lot has been done concerning the civil society development, but is lacking the final touches. Commenting on the Ukrainian situation, Sikorkski added that for him it is strange that Ukraine expects to get economic relief from a country which just imposed sanctions on it. He pointed out that Viktor Yanukovych did not respect his promises made two years ago and how the behaviour of the EU cannot change. Regarding the progress of the Eastern Partnship since 2009, Bildt added that Ukraine is the country which made it difficult to show significant achievements. Nevertheless, as a signal of willingness and readiness to commitment, the Ukrainian delegates from the Civil Society signed today a symbolic document, in the place of the real Association Agreement, protesting their government’s decision and asking the EU to help them keep Ukraine in Europe. 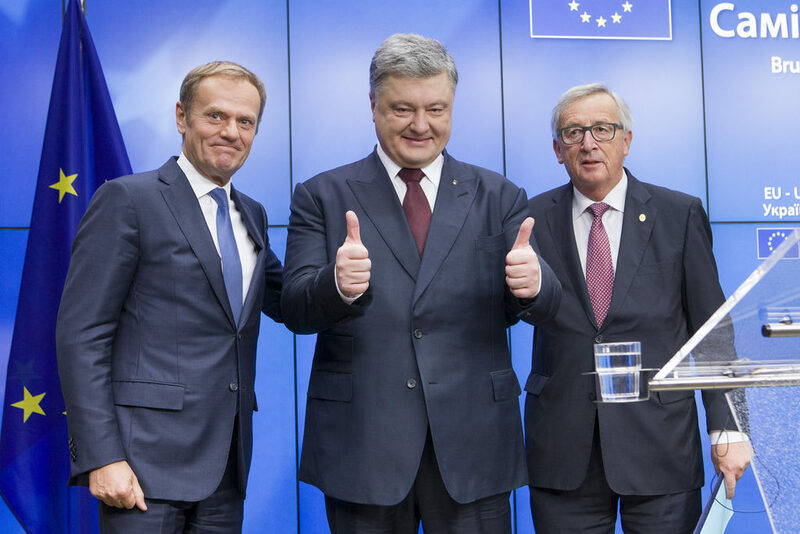 Even though Yanukovych’s Party, the Party of Regions is considered a pro-European party, the last shift in the president’s behavior contradicts two years of promises. Nevertheless this decision is not likely to influence the polls, since Yanukovych still remains the only successful politician at least for Eastern Ukraine and for this reason any shift in the choice just made has to take into account the long term. As Alyona Getmanchuck from the Institute of World Policy, a Ukrainian Think Thank, stated civil society needs to remain the main counterpart of the EU, enhance the dialogue and be helped in order to avoid Ukraine’s marginalisation. When it comes to the future goals, and the prospect of membership, many voices from the Civil Society blame the EU’s ambiguity for the lack of any clear commitment in future membership for the Eastern Partnership Countries. Answering a question on this subject, Pat Cox, former president of the European Parliament and special EU envoy to Ukraine for negotiations (together with the former president of Poland Aleksander Kwaśniewski) affirmed that no promise can be given: membership needs to remain the final goal in order to give them the motivation to pursue the reforms required by the Eastern Partnership programme, but cannot be promised. As Sikorski and Bildt reminded, there has never been a case in which Article 49 of the treaty on functioning of the EU has not been respected: and every European country is free to join the EU if satisfying the criteria. There has always been resistance to enlargement, but soon or later, all the truly democratic countries have been granted membership. When Poland signed its Association Agreement in December1991, Sikorski said, it didn’t get any promise of membership; neither any financial assistance comparable to the one granted to the Eastern Partners. 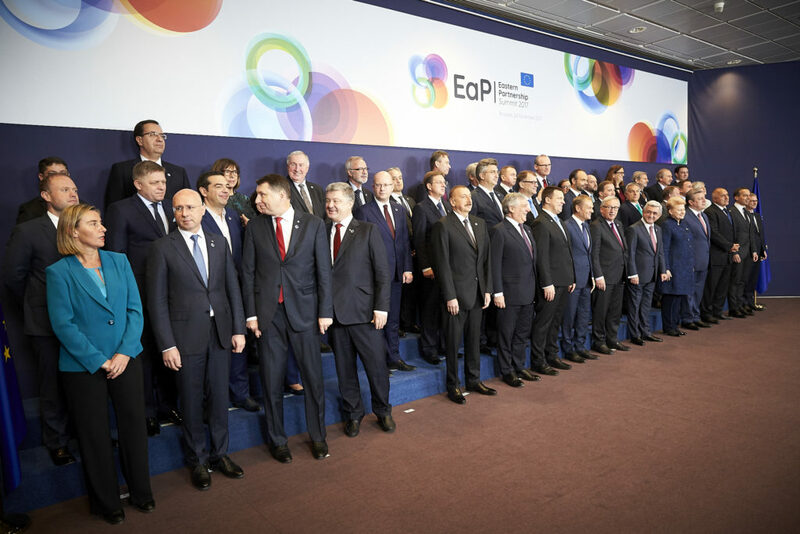 Concerning the Eastern Partnership frontrunners, Georgia and Moldova show that the controversial principle of “more for more”(which means giving more help to the countries that perform better in their commitments and demonstrate willingness to undertake reforms) can work, according to their respective ministers of foreign affairs, present at the meeting. Moldova especially, which is likely to sign a visa-free regime allowing its citizens to travel to Europe more easily, represents a success story. Georgia will also soon sign the deep and comprehensive trade agreement and the Association Agreement. 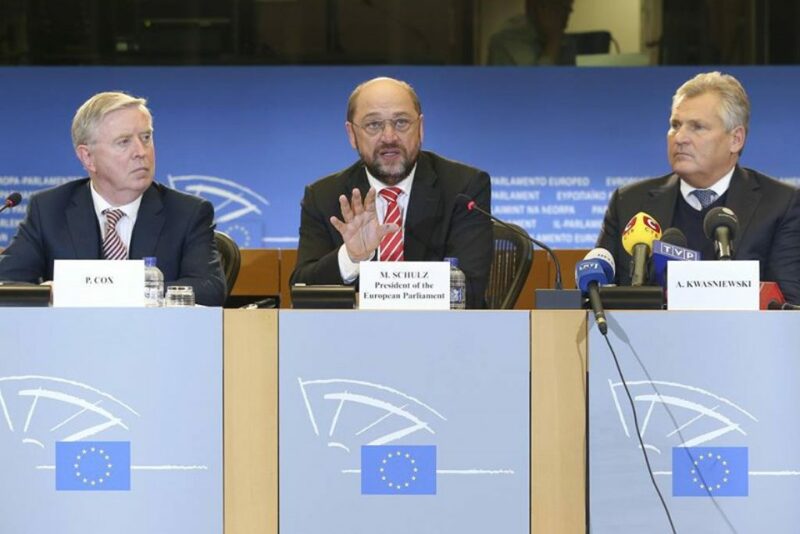 In both the countries, which are marked by internal conflicts, the process of European integration can also be seen as a tool for reunification and national pacification. As stated by Maja Panjikidze, Georgian minister of foreign affairs: European integration will make Georgia (and Moldova) a country attractive for everybody to live in. Giacomo Manca is a contributing editor with New Eastern Europe.